…But you should be clear with him about what’s in it if you want him to drink it, right? My friend was in a pharmacy recently and overheard an exchange between a customer and the pharmacy assistant. The customer was attempting to buy a bottle of Infacol drops for wind relief for their child and was instead talked into purchasing a bottle of a homeopathic colic remedy often available in chemists these days. What bothers me about this story is that homeopathy has never been proven to work any better than a placebo. Homeopathy is a system of complementary or alternative medicine in which ailments are treated by minute doses of natural substances heavily diluted in water and then shaken or tapped. These are substances that, in larger amounts, would produce the symptoms of the ailment. They are diluted to the point that the “active” ingredient is no longer detectable.Then there is the idea that the water’s “memory” of the substance is what will treat the ailment based on a “like treats like” theory. 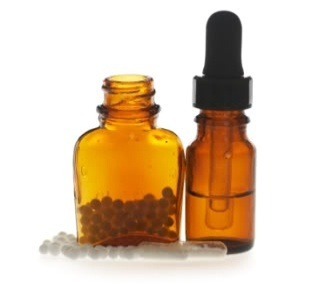 There is a large body of evidence showing homeopathy to be ineffective and studies giving any impression otherwise have thus far been shown to have problems such as flawed methodology or inadequate controls. In short, it’s considered a pseudoscience. While there can be merit in the placebo effect, it hasn’t really been demonstrated to work in babies . Some might say they felt there was an improvement in symptoms for things like colic, teething or a cold after using homeopathic remedies- the trouble there being that an observation made by a caregiver isn’t conclusive and doesn’t take into account that things like the examples I just gave are self-limiting and of course, observations are subjective. I don’t know the reason behind this sales person’s recommendation. Perhaps she tried it once, perhaps the profit margin is higher on that product or perhaps she was just impressed by the claims on the bottle. What I do know is that parents, especially new parents, seem to be a vulnerable target group for pseudo-scientific products (don’t even start me on amber necklaces!). We all want the best for our kids and we all want to relieve any discomfort they might be in. So when you see a product that emphasises that it is a natural product, safe to use from birth, free from additives and has natural sounding “active” ingredients, it’s not unreasonable to think it might be the better option. This also comes under a currently very popular logical fallacy called ‘appeal to nature’ reasoning; the idea that if something is natural, it must be good and vice versa. My other issue here is that I have personally known more than one person to buy one of these remedies from a pharmacy on the advice of the sales assistant and been offered these products and not one of these people had it explained to them what a homeopathic remedy was. They were only told it was a “safe, natural remedy” and yes, water is both safe and natural. However, they were paying $10-$15 for a bottle of water that was supposed to remember having once contained some chamomile etc after a good shaking- and no one mentioned that to these customers. The Australian Register of Therapeutic Goods does not require many homeopathic remedies to be registered with them as the dilution is so extensive that they are considered extremely safe- even when the listed ingredient, such as belladonna, is known to be poisonous. This is because they acknowledge that it is so dilute that it is no longer a risk. Homeopathic preparations are not inherently harmful in themselves, but reliance on such treatments over conventional medical treatment can be. Some people choose not to immunise their children but instead rely on “homeopathic vaccination” also called homeoprophylaxis. I’ve not seen these for sale in pharmacies (thank goodness) but they seem easy enough to order online and can be purchased from some homeopathy practitioners. The danger here is the complete lack of evidence to support homeopathic treatments as vaccines- it is not even recommended by homeopathic associations. There have been cases of homeopathic-only treatment leading to the death of the patient, such as the tragic case of Penelope Dingle or the horrifyingly sad story of Baby Gloria. Many other cases are summarised here. 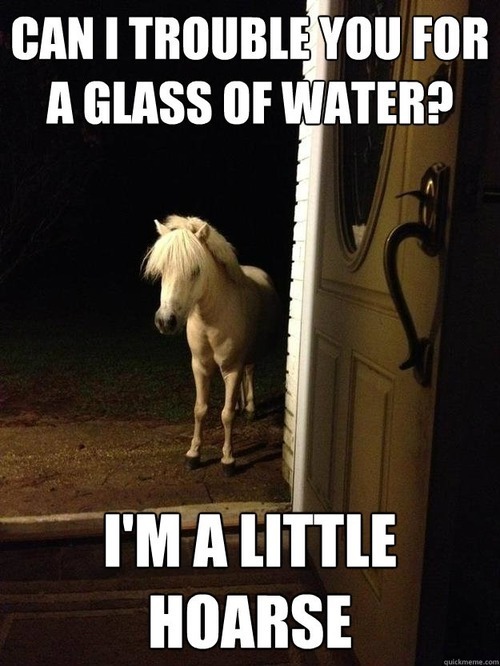 To be clear, I don’t think a bottle of colic water will kill anyone. I guess the reason I’m including this paragraph is because I think complementary therapies have their place- but the word complementary is key. I’m no doctor but common sense says to me that if you’re unwell and undergoing medical treatment and a complementary therapy (that won’t cause problems or have negative interactions with your conventional therapy- some herbal treatments might do this, for example) also makes you feel better, then it’s doing it’s job- it’s being complementary. I do feel its outrageous that people are sold what is essentially water (or sometimes sucrose pills) in the guise of medicine without their knowledge. I think most people who walk into a pharmacy looking for something to treat a symptom expect to see and be advised on a pharmaceutical treatment- with active ingredients. I’m not saying the choice should be removed– I do, however, believe it should be informed. If you know what homeopathy is and know what the science says, but still want to spend your money on it and it makes you feel good- then that’s great. We might well disagree on why it makes you feel good/better- but hey, you don’t need me to agree. These products are labelled as homeopathic but it surely would be more ethical to have information about what homeopathy actually is readily available to consumers to help them make an informed choice?